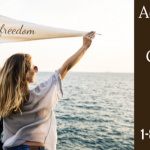 Summer Sky, a national addiction treatment center, located in Stephenville, Texas is offering individuals and families an opportunity to receive substance use disorder treatment at reduced private pay rates during the month of April 2019. This is a limited time special price discount for people desiring treatment at either our 30-Day Treatment Program or our 90-Day Treatment Programs. Our “Spring into Treatment Special” is an amazing opportunity for individuals and families that are looking to save on the cost of treatment services. Summer Sky recognizes that individuals desire to receive treatment from high-quality addiction treatment centers and Summer Sky is a privately-owned Texas-based alcohol and drug treatment program that offers high-quality addiction treatment services. We feel honored to be able to offer discounted treatment campaigns from time to time to help individuals and families reduce the cost of treatment services. We understand that Texans and Americans are looking to reduce the cost of healthcare in the United States. When people receive help for a substance use disorder, then our society wins. Summer Sky is no stranger to reducing the impact of financial barriers to help people who need treatment services. Summer Sky consistently goes out of its way to contract with private healthcare insurance companies to accept in-network health insurance for the people we serve. By negotiating with private health insurance carriers, we can help our patients to reduce the cost of treatment. The consumer is offered coverage at in-network treatment rates, so therefore their out-of-pocket expenses are reduced by attending treatment in our in-network addiction treatment programs. As a result of continuing to be mindful of the cost or treatment services to consumers, Summer Sky has been able to provide 34-years of in-network status with most all major healthcare insurance companies to date. We also provide the highest level of treatment services for our patients that utilize our services. We operate our treatment centers from an evidence-based treatment perspective and safeguard our patients from rising treatment cost by making sure our patients are utilizing in-network benefits during treatment at Summer Sky. We strive to provide one of the best evidence-based addiction treatment services in Texas. Summer Sky recently sent staff to the Texas legislature to request that legislators stabilize and strengthen the treatment infrastructure in Texas in order to expand access to quality substance use disorder treatment across Texas. Our treatment center believes that more people need treatment options and we are committed to helping make this reality possible to people living in Texas and across the United States. Summer Sky provides individuals and families with one of the best addiction treatment experiences in Texas, and we believe more people need to be able to access high-quality treatment like what is offered at Summer Sky. Evidence-based treatment should be offered in all the Texas addiction treatment programs, and we are advocates to see an expansion of evidence-based treatment services are offered across Texas. How can you access the “Spring into Treatment Special”? An individual or family member will need to contact our Summer Sky Admission Department to discuss the available treatment options at Summer Sky. Below is a quick guide to reaching our admission department at Summer Sky. 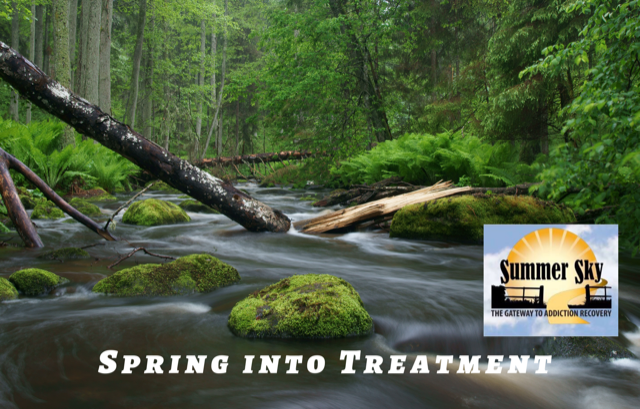 Note: Spring into treatment special is a limited time offer and is offered on first come first serve. There is limited availability for the “Spring into Treatment Special” so we are recommending that either the individual or family secure the bed ahead of time, due to high demand for private pay discounts being utilized during the month of April 2019. Spring into treatment offers are not available with any other promotional offerings, and no-refunds are offered for discounted treatment specials, so please plan to complete treatment. 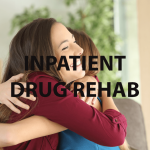 Relapse Warranties can be purchased separately to protect your treatment investment; however, all treatment cost and warranty must be paid upfront at the time of admission into the program. See terms and conditions of the relapse warranty on the relapse warranty page. To begin your treatment experience now contact our admissions department at 1-888-857-8857. Summer Sky offers medical detoxification, inpatient treatment, residential treatment, partial hospitalization (PHP) and intensive outpatient treatment services. We are available 24-hours a day 7-days a week.